That’s why today, we’re here to recognise the Top Mechanics on the Sunshine Coast. In 2018, AutoGuru partner mechanics on the Sunshine Coast quoted over $1.2 million worth of services and repairs for AutoGuru customers, to help them better care for their cars. We’re here to recognise the Top Mechanics on the Sunshine Coast, who went above and beyond to consistently deliver amazing service experiences to their customers. ABS Kawana have taken the top spot as the Sunshine Coast’s best mechanic! 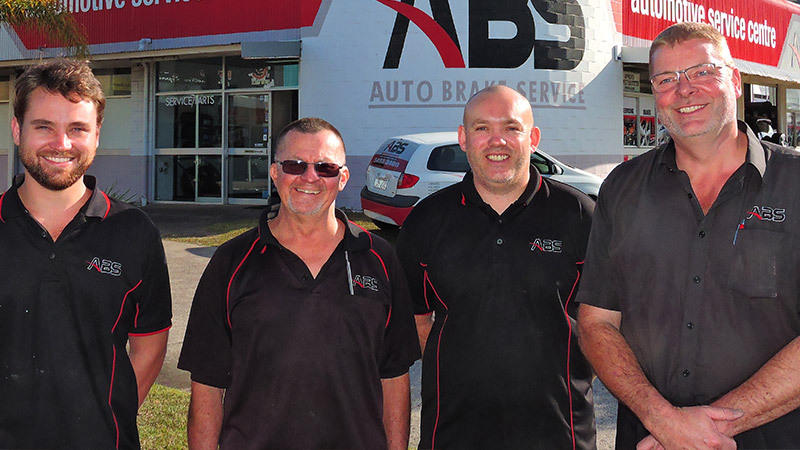 Jim and his team of qualified mechanics at ABS Kawana can look after your vehicle's log book servicing, brakes, clutch, suspension, wheel alignment, tyres, batteries, and general under-car repairs. The workshop is open Monday to Saturday, and is situated close to bus stops on Nicklin Way. The workshop has been in operation for over 10 years, and includes 5 service bays, attended to by 4 qualified mechanics. All service, repairs and parts carry a national 6 month / 10,000 kilometre warranty. Ask about ABS Kawana's free collection and delivery service. They’ve got an awesome 4.7 star rating on AutoGuru, here’s what one happy customer had to say! Jeremy Hardwick leads a great team of experienced qualified mechanics at Midas Maroochydore. They can be trusted to look after your vehicle's log book servicing, brakes, safety inspections, Uber inspections, tyres, exhaust, suspension and general under-car repairs. Jeremy and the team have built an outstanding reputation for clear, open communication and delivering on their promise that no work will be carried out without the customer’s prior approval of costs. Their workshop includes 4 service bays with qualified technicians ready to look after your vehicle and go the extra mile! Check out this great review for Midas Maroochydore. Bridgestone Select Caloundra have an experienced team who put people first. They can cater for all your general and log book servicing needs, all makes, all models. Bridgestone Caloundra are accredited to carry out Log Book Servicing meaning you can keep your warranty & save! They’ll never put anything on your car without your permission and they only ue premium grade oils, filters and have a qualified mechanical team providing honest, open, transparent advice you can trust. Nathan and the team pride themselves on an open and honest environment where you can be confident you are going to get our best price with no compromise on quality. Bridgestone Select Caloundra has got a 4.9 star rating on AutoGuru, check out this great review. Protune Mechanical and Service Centre is a fully equipped workshop in the heart of Warana, Kawana Waters. Catering for all mechanical and auto electrical services, they pride themselves on providing top class service at affordable prices. Their expert mechanics are qualified to do all logbook servicing, all whilst protecting your manufacturer's warranty. At Protune Mechanical Kawana, they’ve got factory trained technicians for Volkswagen, VW, Audi, Jeep, Chrysler, and Dodge, however, they service and repair all makes and models. Ron and the team have earned an awesome 5 star rating on AutoGuru, here’s one of their great reviews. RAM Automotive is your local Sunshine Coast mechanical workshop that stands by their motto of Quality and Safety First. Matt and the team at RAM Automotive specialises in mechanical and electrical repairs on all vehicle makes and models, including servicing of new vehicles under manufacturer's warranty. They also look after batteries, air conditioning, auto electrics, tyres and roadworthy certificates. Their highly qualified, dedicated team provides first-class service at competitive prices. They use only quality parts to make sure that the job is done right, and for busy customers who work the 9-5, they are open on Saturday mornings. They’ve got a 4.7 star rating on AutoGuru, with heaps of great reviews such as this one! Browns Autobahn Nambour is equipped with state-of-the-art Diagnostic Testing equipment to service all the latest makes & models, both European, Asian & Japanese. Honesty and High Quality is their main objective in every repair they perform. Browns AutoBahn is your local family run service center, conveniently located in the heart of Nambour. Owner Todd, along with his dedicated staff, have been serving Nambour and surrounding areas for more than 33 years. Personal service is what they provide to every customer who enters their service centre. They take time to make sure they know their customers' concerns and all repairs are explained clearly. They’ve got a 4.9 star rating on AutoGuru, check out this great review. Bridgestone Select Nambour have an experienced team who put people first. Bridgestone Select Nambour can cater for all your general and log book servicing needs, no matter what make or model. They are accredited to carry out Log Book Servicing, meaning you can keep your manufacturer's warranty and save! Zaine and the team only use premium grade oils, filters and have a qualified mechanical team providing honest, open, transparent advice you can trust. You and your vehicle are their priority, and with upfront pricing, you’ll have no surprises when you come to pick up your vehicle. They’re all about having an open and honest environment where you can be confident you’re to get a high quality service at a great price. Check out this review that went toward their 4.9 star rating on AutoGuru. Goodyear Autocare Warana can help you with all your car needs, from tyres, wheel alignments, suspension, steering, brakes, Log Book Servicing and minor servicing. They’ve been in operation for over 28 years and deliver a huge amount of experience and professionalism to their customers. Aaron and the team strive to deliver the highest quality and best service experiences to their customers, with no compromises! They’ve earned a very impressive 4.9 star rating on AutoGuru, with customers having plenty of great things to say. DJF Auto Solutions is a family run business and has been in the industry for over 25 years. They take pride in everything they do, from their mechanical work through to their customer service. All their customers are welcomed with a free coffee voucher with any service. Excellent customer service, approachable staff and free barista made coffee is what sets DJF Auto Solutions apart from the rest. Most importantly, they are always striving to ensure their customers are driving away safely. They’ve got a perfect 5 star rating on AutoGuru, have a read of what one of their customers had to say. SVS Autocare specialises in servicing: Jaguar, Audi, Bmw, Porsche, Lamborghini, Volkswagen, Volvo, Bentley, Maserati, Ferrari, Citroen, Peugeot, Renault, Land Rover and Lotus. They offer a courtesy car, providing convenience whilst your car is getting serviced. With over 14 years experience, specialised training in servicing European cars and servicing clients from Maroochydore to Buderim to Caloundra, there is no one better to look after your car. The team at SVS Autocare conduct business on the basic principles of respect, honesty and integrity, while uniting a power of talent, knowledge and experience to provide the ultimate level of service and value for customers’ vehicles. Nick and the team have got an awesome 5 star rating on AutoGuru, which is a credit to the great experiences they deliver. Looking for a mechanic on the Sunshine Coast?